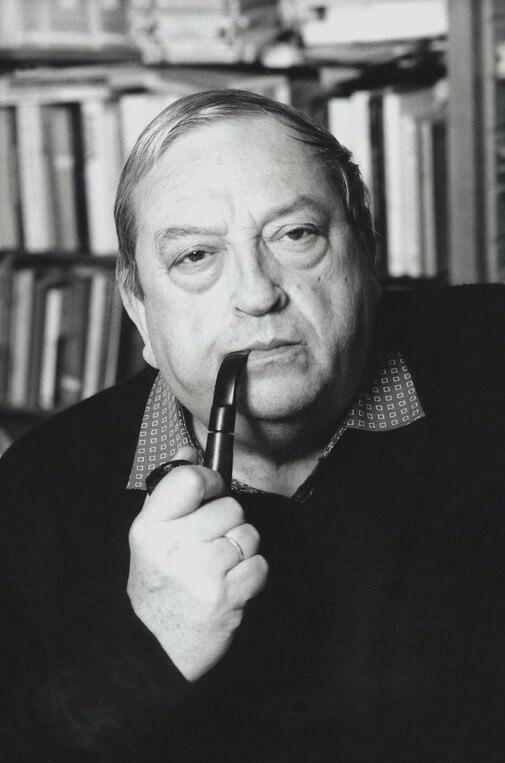 One of the world’s most important medieval historians, Jacques le Goff, passed away earlier today in Paris. Many medievalists will have read and been deeply influenced by his writings and scholarship. Jacques le Goff was born on January 1, 1924 and by the 1950s he was writing the first of over thirty books and becoming known as one of the leading members of the Annales School, which sought to push historians away from focusing on political and military history and towards social history and seeing the medieval and early modern eras as part of the same broader period. Le Goff is best known for his books on the concept of purgatory in the Middle Ages, the influence of money in this period, and his biography (or rather as he termed it ‘anti-biography’) of King Louis IX. He also served as the co-editor of the journal “Annales”. Beyond the academic world, one could also find Jacques le Goff hosting a radio programme in France and serving as the historical advisor to movies set in the Middle Ages. He even wrote several children’s books. Erudition, imagination, professional and civic commitment: Le Goff’s achievements go much beyond the traditional definition of what an historian usually is or should be. Though he has mostly studied periods of history that are remote in time, he has done so while keeping a constant eye on the great questions of the present. This helps explain why his abundant accomplishments as a scholar have been so widely received and why they continue to be so important today. Jacques Le Goff et la Nouvelle Histoire. Apostrophes. 1979 from Difusió Hª Medieval on Vimeo. “History is not given, history is constructed by the historian. But the historian cannot do just anything. He must make his construction with the aid of materials, documents. I have personally adopted Michel Foucault’s position that documents are not innocent. Documents have been made to impress, to form thinking, they are what you might call monument/documents. We must maintain toward these monument/documents a critical spirit; but if this critical spirit leads to a purely deconstructive “shredding” of what is being set out before us, we lose ourselves in an intellectual anarchy from which nothing good can emerge. So I think that not only is it necessary that we be moored to documents, I think we must also remind ourselves that historical truth is not one. It is not clear. We no longer believe, like Ranke, that we can recount things such as they really happened, such as they were. But if we don’t believe that there is a historical truth, even if we approach it only through interpretations and approximations, then history, which has made a meritorious effort to be scientific… then we historians may just as well resign ourselves to writing historical novels.” – Jacques le Goff, in an interview with Historical Reflections from 1993.